Ever since iOS11.3 was launched, one of the big hyped changes was the iMessages. There were so many new cool features that were added. 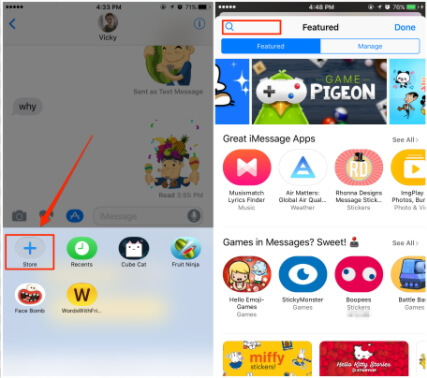 As more and more messaging platforms have come up, the need was felt to innovate this age-old messaging platform and this is why there was the added option to send emoticon, animated stickers and even play games as well. Surely, this did bring in a lot of new iMessages users as it created quite a lot of excitement among users. So, if you are one of those who still wants to get a hang of how to enjoy the best of games on iMessages, we are here to help you out. Let us see the details. Enter the iMessages app store. When you look for target games, you will find the text ‘only for iMessages’ written right below the icon of the app. You need to click on the ‘Get’ icon and the app will be downloaded. 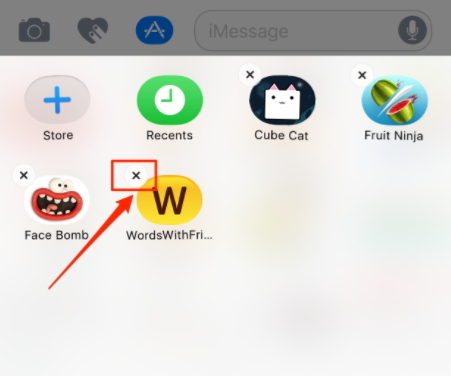 When downloaded, you will find the app installed in the Store icon in your iMessages conversation box. First of all decide who you want to play the game with and open their iMessage dialog box. Now tap on the app store icon in the dialog box and then tap the four gray dots which will show the apps which are present on your device. Now choose the game you want to play. When you have selected the game, a game invitation will be made and you can send it to your friend who in turn can download it on their device. You both can now start playing the game. 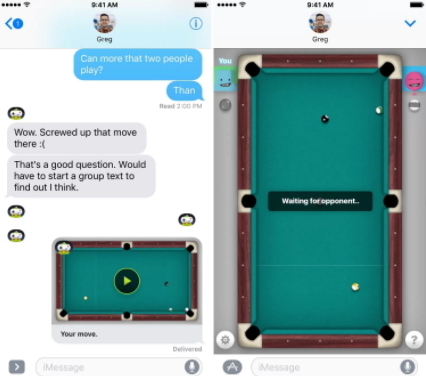 Here are 10 of the best games you can possibly enjoy when playing in iMessages. Quiktionary: Guess a four lettered word based on clues. Words with friends: Simply make a word with the letters and score higher. Mr. Putt: This is for all golf lovers out there. Quite realistic and very very addictive. Msg me word guess: Very much like hangman, it is addicting to pay. Four in a row: A classic board game, this will have your hooked for long. Game pigeon: Very much like solitaire and minesweeper, these are great options for 2 player games. Cobi hoops: You need to score as many baskets as you can in a 30 second window. Wordle: Guess the word: More like a jumble, you need to guess the word from the messed up letters. Memorado: Fun game to improve concentration and memory. Fast thumbs: Show off your speed typing skills. If you are done playing the game and want to know how to uninstall it, here are the steps to do so. You need to head to the iMessages keyboard app pane. Now click and hold the game icon until you find the X icon. Click on the X icon to uninstall the game. You also have an alternate way wherein you can go to the game screen and delete the app from the home screen by pressing and holding it until it begins to wiggle and the X icon appears. So, with these details, it should now be fairly easy for you to enjoy the best games on the messaging app. We are sure that you will have a great time playing these with your friends and even try defeating them too.